Chicago elections and what’s coming next | Fight Back! Chicago, IL - The corporate media has missed what is most important about Chicago’s April 2 elections. Its focus on the uninspiring mayoral contest between Toni Preckwinkle and Lori Lightfoot helped contribute to the lowest voter turnout ever. Only 29% of registered voters went to the polls. In addition, the agenda of these candidates was progressive. There’s been a polarization on the issues, and while there were fault lines along race and class, the most militant positions had to do with police terror. Dyett School was threatened with closure by Mayor Rahm Emanuel. In 2015, Taylor helped to lead a hunger strike of parents to save it. She then joined a fight led by Southsiders Together Organizing for Power to compel the elite University of Chicago to open a trauma center on the South Side of Chicago. The FOP brought out over 100 people, including members of three white supremacist organizations, to protest in front of the office of the Cook County State’s Attorney. The cops, along with Emanuel, were incensed at State’s Attorney Kim Foxx when her office dropped charges against actor Jussie Smollett, who had been accused by the Chicago Police Department of staging a hate crime against himself. 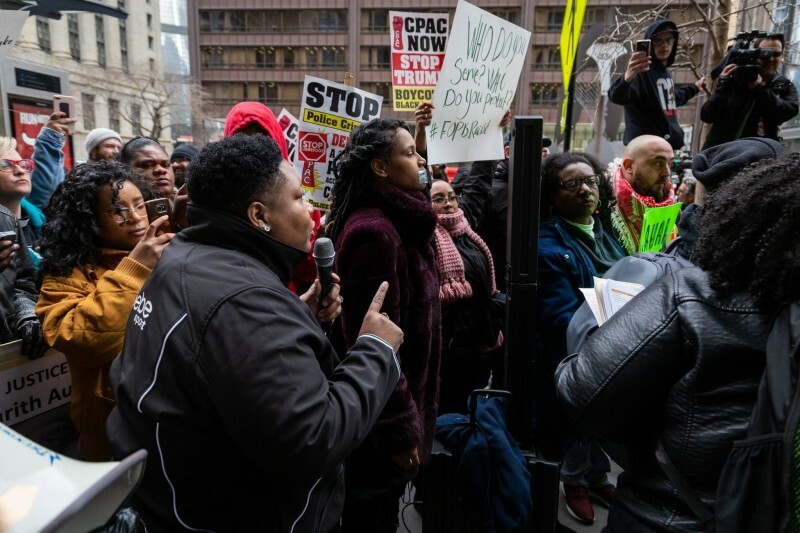 The context for the FOP’s anger is that last year, for the first time ever, a cop (Jason Van Dyke) was convicted of murdering a Black person, and that Black and Latino communities in Chicago are demanding CPAC. After the run-off elections, there are now 17 members of the city council who have endorsed the CPAC legislation, nine of them from the crop of new activists. Five of the new alderpeople – Taylor, Byron Sigcho-Lopez, Andre Vazquez, Daniel LaSpata, and Rossana Rodriguez-Sanchez, will join Carlos Ramirez-Rosa in a Socialist Caucus. There are still two ward elections with insurgent CPAC candidates that are too close to call. If both William Calloway and Marianne Lalonde win, CPAC would have 19 supporters in the council. After the election, Chapman spoke out against Lightfoot. “I submit that Lori Lightfoot is the Trojan Horse presented to us by the business barons of the Magnificent Mile, the outgoing regime of Rahm Emanuel, and the Fraternal Order of Police. While commentators, reactionary pundits, and misguided, self-deceiving people in our movement are praising Lightfoot as a triumphant first Black, openly gay woman to be mayor of a major city, they are ignoring her role as president of the Police Board. She was not a reformer, but a heartless vindicator of police brutality and murder.